This was our first year exhibiting at the NSS and we had a blast! 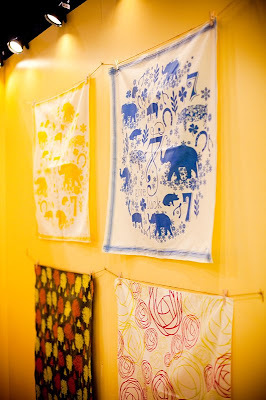 It was wonderful to meet so many fellow designers, artists and bloggers. 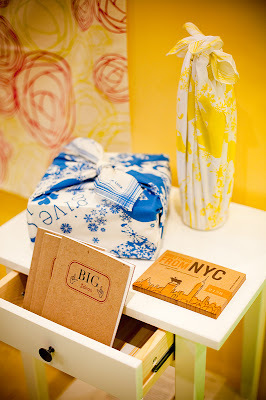 We were tickled pink when the lovely Shannon Hostopped by our booth and took these awesome shots for us. Shannon was one of the attendees at A Lovely Workshop (posted here) and is just one of the sweetest people I've known. Nole over at Oh so beautiful paper has done a wonderful job of posting about the show but I just wanted to share a few of my favourites here. 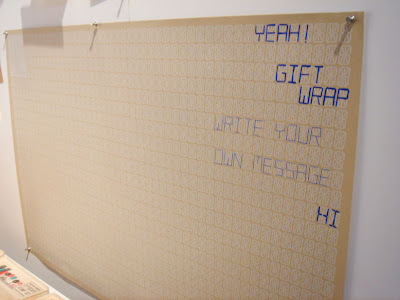 yellow owl workshop "write your own message" gift wrap. 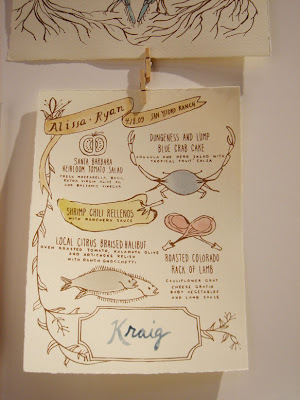 Christine from yellow owl workshop hand-painted these menus for Alyssa and Ryan's wedding. *sigh*... love. 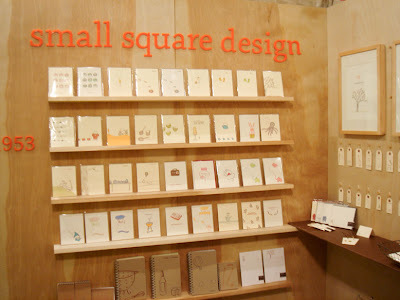 small square design and linea carte shared a cozy booth. 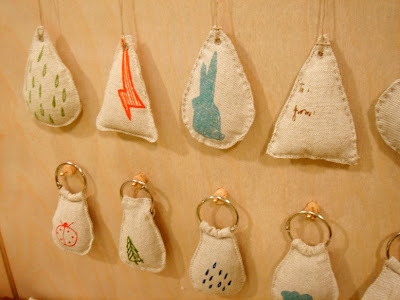 linea carte silkscreened gift-tags/ornaments. smart idea! 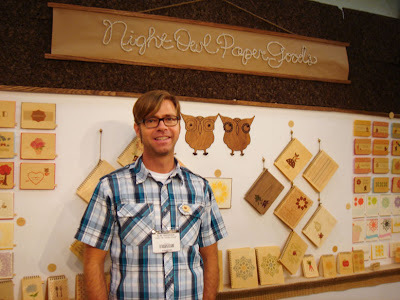 Having been a longtime fan of Night Owl Paper Goods, it was quite a thrill to meet owner Alan. Wow, everything looked so lovely… so many talented stationers all at one place! Amazing!